British middleweight Fabian Edwards has signed for Bellator MMA with a record of 5-0. British middleweight Fabian Edwards has signed for Bellator MMA. Edwards (5-0) is undefeated as a professional fighter with all five of his wins coming via stoppage. Brother of UFC welterweight Leon Edwards, Fabian has built a reputation on the European MMA scene with four wins under the BAMMA promotional banner and one incredible flying knee knockout of Rafal Cejrowski at Bellator 179. 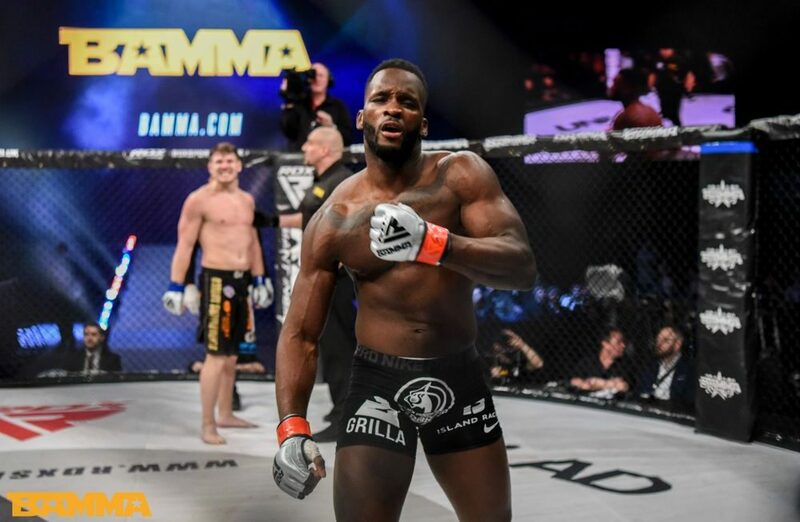 The Brit was expected to fight for the BAMMA middleweight title in his next fight, but with the promotion seemingly no longer in existence, Edwards has now signed a multi-fight contract to Bellator. Speaking via his management last evening, Edwards sent a warning to the rest of the Bellator 185-pounds division. The announcement of Edwards’ signing was made last night on the Bellator 208 broadcast ahead of the main event between Fedor Emelianenko and Chael Sonnen.